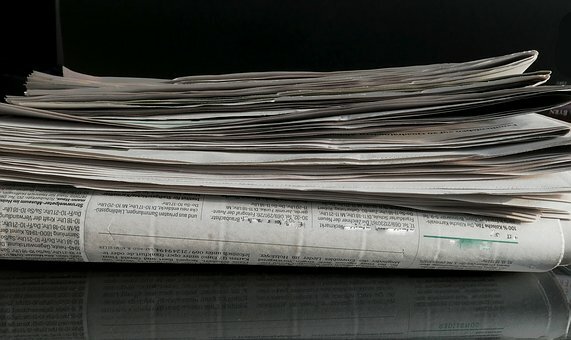 Ecco a voi la nostra Rassegna stampa mensile: una selezione accurata di articoli pubblicati su riviste internazionali. Buona lettura. 1. Six Years and Counting: Restoration of Photopic Retinal Function and Visual Behavior Following Gene Augmentation Therapy in a Sheep Model of CNGA3 Achromatopsia. Ron Ofri et al. Human Gene Therapy, 2018. 2.Computational systems biology approach to identify novel pharmacological targets for diabetic retinopathy. Platania CBM et al. Biochem Pharmacol, 2018. 3.Corneal Endothelial Cell Density in Uveal Coloboma Associated with Microcornea. Dhakal R et al. Cornea, 2018. 4.Selective permeability of mouse blood-aqueous barrier as determined by 15N-heavy isotope tracing and mass spectrometry. Pan Liu et PNAS September 4, 2018. 5.Association of Cadmium and Lead Exposure With the Incidence of Contrast Sensitivity Impairment Among Middle-aged Adults. Ada J.Paulsen et al. JAMA Ophthalmol. September 13, 2018. 7. The Role of Stereopsis and Binocular Fusion in Surgical Treatment of Intermittent Exotropia. Maria Cristina Fernandez-Ruiz et al. J Clin Exp Ophthalmol, 2018. 8.Visual acuity outcomes in cytomegalovirus retinitis: early versus late diagnosis. Ausayakhun S. et al. Br J Ophthalmol. 9. Changes in the optic nerve head induced by horizontal eye movements. Lee WJ et al. PLoS One, 2018. 10.Genome-Wide Association Study Identifies a Susceptibility Locus for Comitant Esotropia and Suggests a Parent-of-Origin Effect. Sherin Shaaban et al. Investigative Opthalmology & Visual Science, 2018.